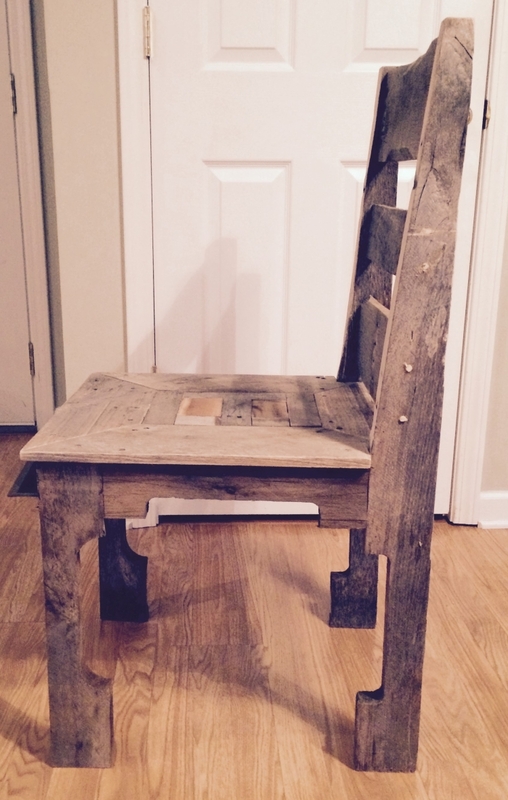 This is a pallet dining chair made 100% from recycled/reclaimed pallet wood. 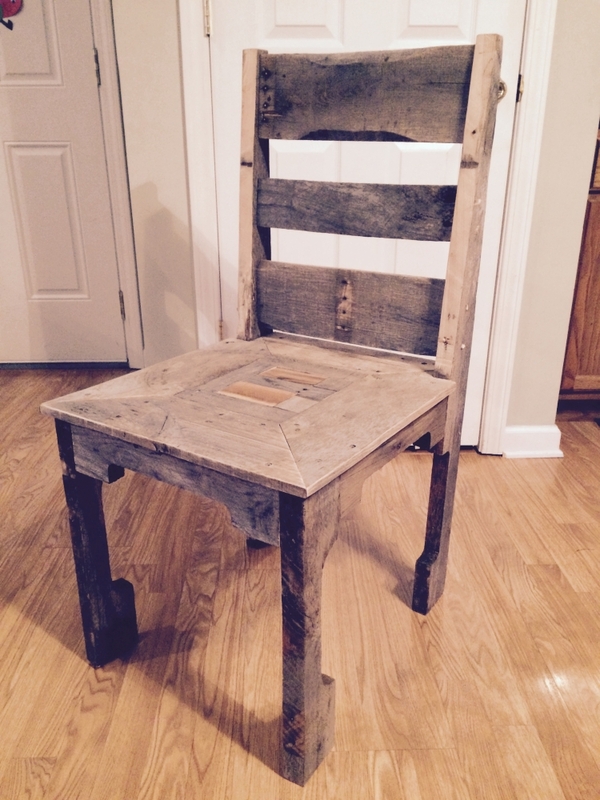 I wanted to build a chair utilizing the original forklift cutouts in the pallet. I think it gives the chair a unique design. 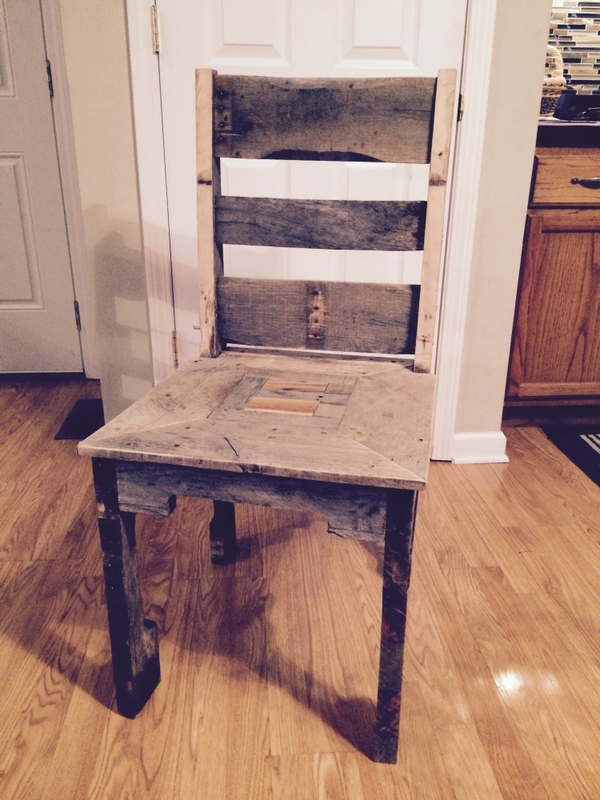 The seats and back are made from the tops of the pallet. The chair can be used as a dining room chair to go along with a table or can be used an extra seating. I just finished up making some for a new donut shop in Destin Florida. I made them 7 tables along with 28 of these chairs. I hope you enjoy. Thanks.